Terri Long | Terri Long Landscape Design, Inc. I was so focused on staying warm during this really cold, windy day in Asheville that I almost forgot about my plants. Protect your marginally hardy plants by covering with a sheet, pillowcase, frost blanket or other material. 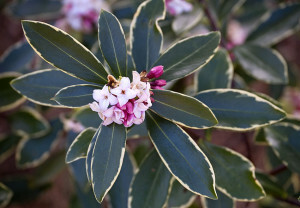 These tender plants include camellias, Japanese maples, daphnes, gardenias, and aucubas. My dapne is in bud and was close to blooming. If you have other specimen plants that you don’t want to risk being damaged by the below zero temperatures that are expected, protect them too. Remove the protection when the temperatures warm up in the 30s so as not to overheat and burn the plants. This entry was posted in Landscape Care, Winter Landscapes on January 6, 2014 by Terri Long. A personal design is the first step to having a landscape and garden that enriches your life. After a high quality landscape installation, taking care of your plants is the key to a beautiful, long-lasting landscape. Soil testing is an important part of knowing how to feed your plants. Why should I have my soil tested? The soil test report gives you specific recommendations on the amount of fertilizer and lime (if needed) based on the type of plants. If the soil pH isn’t within the range of what your plants need, they won’t be able to absorb the nutrients in the soil and prosper. If they are under- or over-fertilized, the soil pH and fertility will also affect your plants’ health and their ability to resist pests and diseases. You can also save time and money by just using the amount of fertilizer and lime needed and also protect your plants and the environment. In western North Carolina, our soils are naturally acid, which is a pH level below 7.0. Rhododendrons, mountain laurel, camellias, azaleas and blueberries thrive in the range of 4.8 to 5.5. Our cool season lawn grasses prefer alkaline soil around 6.0. That’s why lime is recommended to sweeten the soil. Other plants, such as many vegetables and some perennials, may also prefer alkaline soil. If you use plants that prefer alkaline soil, you probably will have to add lime to adjust the pH. Usually the optimum pH is between 5.5 and 7.5, since plant nutrients are reasonably available in that range. Many vegetables, shrubs, annuals and perennials prefer a pH of 6 to 6.5. If you don’t know what pH your plants need, we can help. Can’t I just apply lime and fertilizer without testing? The risk of guessing how much lime and fertilizer is that you’ll apply too much of one thing and not enough of another. If you apply too much lime, you can raise the pH too high. It’s difficult, time consuming and results in more expense to lower the pH. Your plants may suffer as a result. The recommendation given in your soil test report should maintain the desired pH for 3 to 4 years for clay soil. Why not just do it right with a soil test? How often should I have my soil tested? Get a baseline test, preferably before planting. If you test before planting a new landscape, test it again the following year to see the effects of the amendments used in planting. Unless you have big nutrient deficiencies, require a big shift in your pH or have changed the soil in some way, have it tested every 2 to 4 years. When should I take soil samples? You can take samples anytime except for when the soil is very wet or has been limed or fertilized 6 to 8 weeks prior to desired testing. It’s also harder to take soil samples when the soil is really dry and hard. If you send the samples to the state lab for testing, you may experience longer times for results from late fall through early spring, since this is the time that farmers send in their samples. Don’t let that deter you. If you need fast turn around, there are private labs. Allow 2 to 3 months for lime to be incorporated into your soil and raise the pH. If a plant foliage is discolored, you can also take soil samples for a problem diagnosis. Yes. Pick up the soil test boxes, instructions and forms from your local North Carolina Cooperative Extension office. The Asheville office is located at 94 Coxe Avenue. The materials and test results are currently free to North Carolina residents. You pay for mailing the samples. If you prefer, we can provide this service for you for a nominal fee. How should I use the soil test report? The most useful parts of the soil test report are the recommended rates for lime and fertilizer. The report contains bar charts of the actual and optimum ranges for the pH, phosphorous and potassium. Refer to the last page for the rate of fertilizer. These recommendations are based on the needs of the plant group’s requirements. There’s no need to be concerned with the “Additional Test Results” box. In order to prevent damage to your trees from incorrect fertilization, it’s best to hire a certified arborist to determine the correct needs for your trees. This entry was posted in Landscape Care and tagged soil testing on February 6, 2013 by Terri Long. As I was leaving The Ramble at Biltmore Forest on Saturday after speaking to the garden club, I saw a deer at the front gate enjoying the tasty plants while in the open and in full view. It wasn’t at all concerned that I was there and didn’t even run away when I got out of my car. Is your landscape a buffet for the deer with lots of tasty treats? If you have plants that the deer love, such as hostas, rhododendrons, azaleas, and roses, you’ve issued an invitation to attract these beautiful creatures to your landscape buffet. Although I do my best not to include plants that deer prefer in areas with deer populations, they also will eat plants that aren’t as tasty when they’re hungry enough. Just as I’ll pass over some foods that I don’t really enjoy when there’s a really good selection of others, I will eat food that I don’t like, such as over-cooked vegetables, if that’s all there is. A product that we have found helpful is “I Must Garden” deer repellent. It’s available locally at Jesse Israel & Sons Garden Center in Asheville and also online at http://www.imustgarden.com. The great thing about this repellent is that it lasts a long time and doesn’t have a bad odor like some others. I was told that it had cloves in it. Just follow the directions, and let me know how it works for you. This entry was posted in Landscape Care and tagged deer repellent on July 17, 2012 by Terri Long. Spring has arrived about a month early in Asheville and the western North Carolina mountains. It’s fun to be outside enjoying the early spring. Now is a great time to take care of some gardening projects to protect your investment and keep your gardens looking beautiful through the year. Water your plants when we don’t get an inch of rain. The days have been warm, so the soil may dry out faster than expected and put your plants under more stress if not watered. If you have an irrigation system, it may not be turned on until danger of late spring freezes has passed. Check the moisture depth of the soil, and water your plants if the soil is dry below a couple of inches. Supplemental watering is usually not needed for established plants (installed over a year ago). It may two to three years for plants located under trees to establish their root systems, so supplemental watering may be needed. Apply compost or slow release fertilizer around your plants. Remove weeds. Cut back dead foliage on perennials. Prune deadwood from small trees and shrubs. Resist the urge to cut back foliage on your declining bulbs. They need their foliage to store energy for next year’s flowers. Plant perennials, ferns or groundcovers around bulbs to help hide unsightly foliage in key areas. It’s best to wait to plant new herbaceous plants until May. Edge your planting beds. This really gives a finished look to your landscape. After fertilizing, weeding and edging, install mulch to maintain a 2-3″ layer in shrub beds and 2″ in perennials beds. Be careful not to cover the crowns of your perennials. Check your gutters and downspouts to make sure that they’re clear and working properly. Clogged gutters can be a source of moisture problems in your house. Although it’s tempting to rush out and buy flowers to plant now. We still have a potential for killing frosts and cold temperatures until early to mid-May. If you need help caring for your landscape, please contact Terri Long Landscape Design at 828.299.2399. 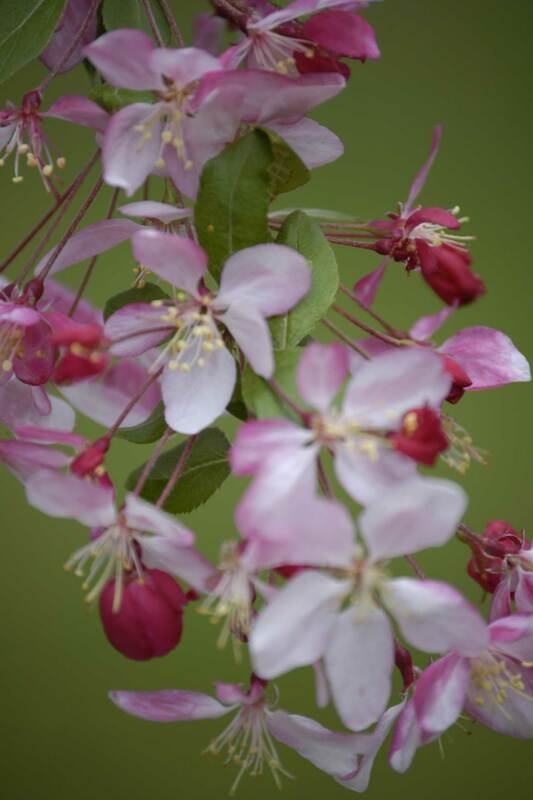 This entry was posted in Landscape Care, Spring Landscapes and tagged Asheville Landscapes, spring on March 26, 2012 by Terri Long. Spring has come early to western North Carolina this year, and it’s been wonderful! Mother Nature is reminding us that it isn’t spring yet. The low temperatures for the next couple of nights are predicted to be in the 20s. If you have important plants that already have buds on them, cover them with a sheet tonight and uncover them in the morning. I’m going to put a pillow case over a small Japanese maple in front of my house and over a Daphne in back. For the other plants, it won’t be a great loss if their blossoms are damaged. This entry was posted in Landscape Care, Spring Landscapes and tagged low temperature plant protection on March 5, 2012 by Terri Long.